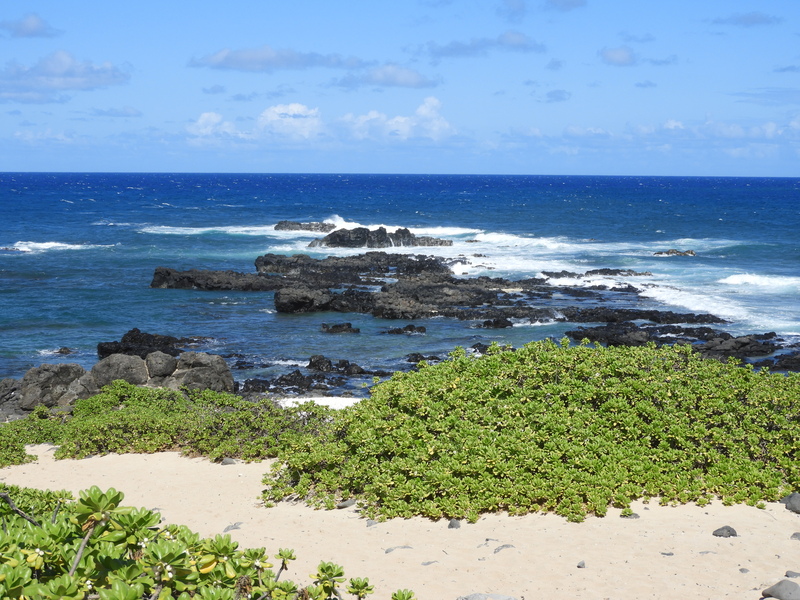 Last week I went to Oahu and while out there, I took a hike out to Ka’ena Point State Park. This is the most northwestern part of the island. The hike started out very easy, and followed the beach to the right all along the way. The water is mostly calm and the sun is just starting to get above my head. It’s quite beautiful and peaceful out. There was one cactus, some yucca like with very tall flower stalks – tall like a tree would be almost. The turnaround is at the point where I was lucky to see a monk seal bouncing in the water. It seemed like he wanted to go ashore but, once I saw him all the other tourists ran towards the monk, scaring him off. It was great to see him if even just for a moment. Just before I headed back, a Coast Guard plane flew overhead. Saw a couple of these little critters in the photo below. The hike back was hot and a bit boring. I had almost run out of water so I was focused on just getting back to the car as soon as I could. But, I saw plenty of those yucca like plants on the way back and another cactus. Overall, I really enjoyed this hike and recommend it to anyone. It’s quite beautiful. Next Is it already fall? Those are nice photos from your trip. It is so nice to see photos wondering the natural plants and animals in them. This is a happy way of traveling in your writing and pictures.